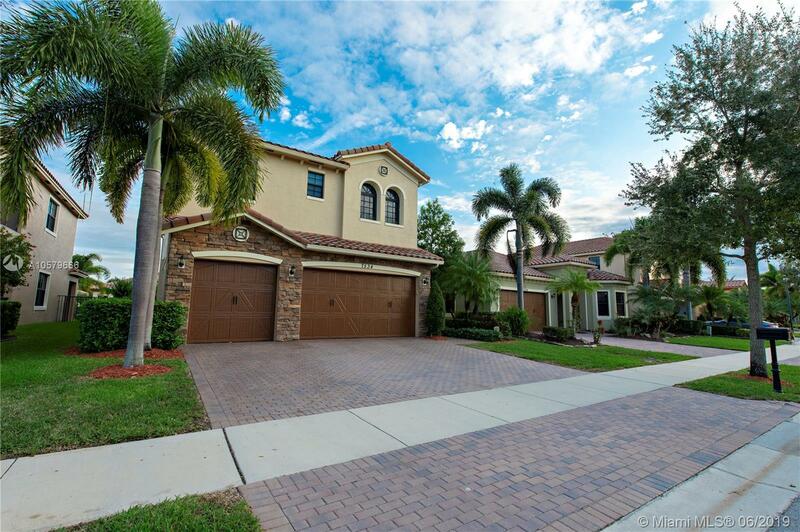 7534 NW 113th Ave, Parkland, FL.| MLS# A10579666 | Susan J Penn l Best Agent l Buy & Sell South Florida Homes! Impeccable luxury home located in one of Parklands newer communities...Parkland Reserve. Tons on upgrades & shows like a model. 5 bed/ 4 bath. 3 car garage. 42" kitchen cabinets w/ granite counters. Large walk-in pantry. Tile floors downstairs & hand scraped laminate wood floors on staircase & upstairs. Freshly painted walls w/ a modern color palate. Custom plantation shutters & crown molding. Large family room open to the kitchen.Two master bedroom suites. Main master boasts 2 large walk-in closets w/ built-ins. Additional 2 bedrooms share a jack & jill bathroom. Gorgeous pool with fully fenced yard & extended pavered deck. Covered patio great for entertaining. This will sell fast. Located close to schools and parks. Come see this home in this amazing, family oriented community today!